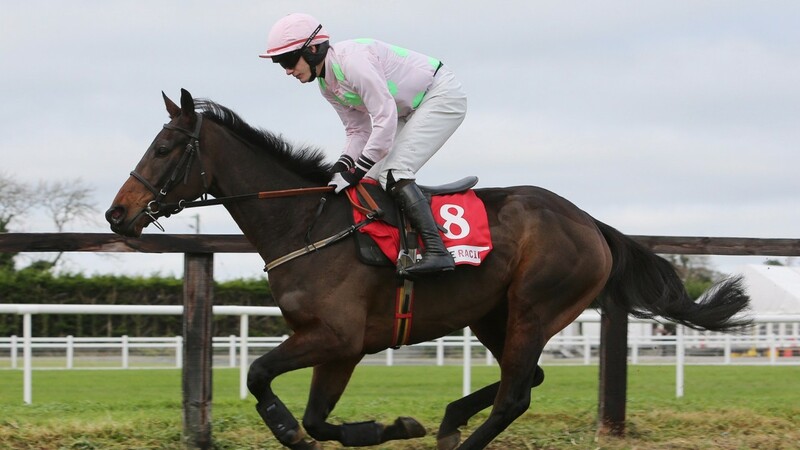 Renneti provided Willie Mullins with a big boost in his bid for the Irish champion trainers' title as he ran out an impressive winner of the Grade 2 Irish Strawberry Hurdle, worth €41,300 to the winner, for Rich Ricci and Ruby Walsh. After Yorkhill's defeat on Sunday, it was only fitting that it was another enigmatic character, Renneti, who would provide Willie Mullins with a crucial victory and claw back Gordon Elliott's lead in the trainers' championship. Renneti, who was sent off at 9-2, has a history of refusing to race, but after being held up, the blinkered eight-year-old cruised into the race and edged into a clear advantage on the turn for home. He kept his mind on the job in the closing stages to win by nine lengths. Favourite De Plotting Shed, who led the tightly grouped field in the early stages, couldn't cope with the speed of Renneti but posted another consistent performance in second. Tombstone could never land a blow and finished a further eight and a half lengths adrift. Mullins said of the winner: "He has great ability but he doesn't always give his best. A bit of nice ground helped him there and he was in happier form. We will try and find another similar opportunity for him and he could also go back on the Flat."